Holidays sales alone accounted for nearly 20% of all retail commerce last year, but the holiday season doesn’t have to be – and shouldn’t be – your only cash cow. 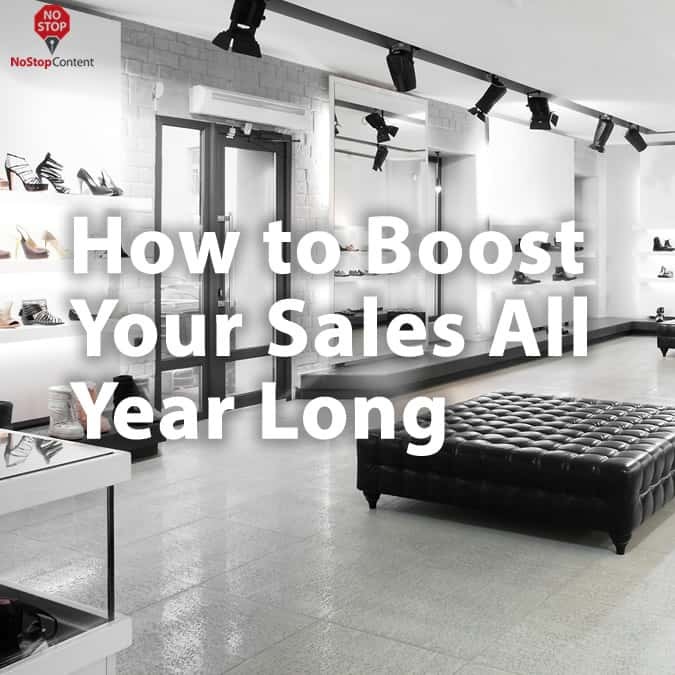 There are plenty of creative, even subtle, ways to boost your sales all year long. Dazzling lights, colorful displays, and mood-shaping music are nothing short of a sensory feast, but there’s another powerful sense that’s often neglected: the sense of smell. Specialty retailers and grocery stores have been using scent marketing for years, filling the air with freshly made cookies or coffee, or strategically placing candles, oils, or scenting machines throughout the store. Cultivating an aromatic shopping environment has its own unique place in the marketing world, and can significantly boost your sales. Certain smells can trigger emotions and memories within shoppers, lower their anti-spending defenses, and enhance their mood, causing them to validate a little extra spending. Different scents work for different situations, so do a little research to discover the best way to employ this subtle smell-good marketing. The impact of music on sales has been tirelessly studied, and the results of those studies is worth its weight in gold to retailers. It’s been discovered that music with a slow tempo can lengthen browsing time and add to your bottom line, while fast-paced music can move shoppers through a store quickly without negatively affecting sales. Busy restaurants who need to turn tables fast will often play upbeat music so guests don’t linger, while other restaurants may play slower music to increase the average check size. Cultivating the right blend of music can be tricky when considering the many variables. It’s best to test and closely study the impact music has on your customer’s buying habits and draw your own conclusions. 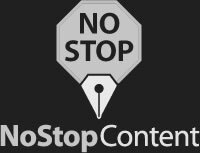 What was once a popular department store service por gratis has transformed into a hefty profit center at the harried consumer’s expense. Fueled by last minute shoppers, overwhelmed parents, and the artistically challenged, there are plenty of purchasers more than willing to let someone else do the wrapping, and the less they are nickel-and-dimed with the offer, the bigger the hero you can become. Free gift wrapping, even with an imposed minimum purchase, can rack up some extra sales, especially if you are marketing the service. Or, you can undercut the big guys charging upwards of $3 per piece and offer a rate just low enough to cover material costs. Either way, your customers will graciously appreciate the time and effort you save them, along with a beautifully wrapped package they can carry through their front door without spoiling someone’s surprise. Peanut butter and jelly, cheese and crackers, popcorn and a movie – some things are simply made for each other. And if you can anticipate what else a shopper might need to complement their purchase, you can do a little re-merchandising to juxtapose A to B without adding too many extra steps to their shopping trip. Train your staff to upsell small items at the cash wrap, like batteries for toys, chocolate bars, lip balm, or any of the little gadgets lining your countertop. You might only average an extra dollar or two per transaction, but those dollars add up quickly and can help boost your sales all year long. This one can become tricky – especially for small retailers – if you’re not well organized, but it could potentially pull in a heap of sales you have otherwise missed out on. It’s cheaper than using a credit card – for both of you. Your customer can afford to purchase more at once by making small payments over time, which means higher transaction value. Your customer is guaranteed the item as soon as it’s paid for, instead of hoping the item is still available by the time they can afford to purchase it outright. You can impose a small surcharge for using the service (hello, pure profit), or provide more value to the customer by offering the service for free. If you do decide to offer layaway, clearly map out your terms and conditions, and collect a signature from the customer. Also, the more systematized you can make the process, especially when it comes to payments, the easier and more beneficial it will prove to both parties. Mobile and digital shopping are overtaking brick and mortar stores at an alarming rate, and retailers are struggling to keep pace with a new economy that moves at twelve megabits per second. But with every challenge comes the opportunity to get creative and discover more ways to build connections and make improvements to gain a stronger foothold in the marketplace. Even if you find yourself struggling to boost your sales this year, it’s never too late to try something new. And honestly, you can’t afford not to.